Our Funarena! : Indian Presidential Elections-2012: The Opposition Dilemma! Indian Presidential Elections-2012: The Opposition Dilemma! The Bharatiya Janata Party (BJP) who leads the National Democratic Alliance (NDA) first suggested the name of former President APJ Abdul Kalam for the Presidential Elections of India to be held on July 19, 2012. They made a tactical blunder by neither consulting the NDA partners nor asking Kalam for his willingness or consent. The move thus got nipped in the bud as most political parties remained shut. As the name of Pranab Mukherjee, the present Finance Minister, came up a consensus seemed to be building up slowly, because no party could really object to his candidature. The gradual build-up was brought down abruptly by Mamata Banerji’s bombshell! She managed to team up with a tricky Mulayam Singh Yadav and offered three names including Kalam and even the serving Prime Minister of India. After Congress's straight rejection Mamata stuck to Kalam and only Kalam. The BJP or the NDA did not react immediately to Kalam’s candidature as they must have been assessing the larger political opportunities that could come out of this most bizarre turn. They made one more tactical blunder, again on Kalam. The Congress led United Progressive Alliance (UPA-2), the ruling coalition of India, took just two days of brainstorming to deliver a masterstroke by officially declaring the name of Pranab Mukherjee as the presidential candidate. Mulayam Singh Yadav forgot Mamata suddenly and offered support as a faithful ally. Mamata got totally isolated and turned to Facebook for solac! 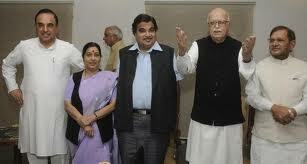 Several other opposition political parties also offered support for Pranab. Meanwhile, PA Sangma had continued to be the only self-declared candidate officially in the race. He was the co-founder of the Nationalist Congress Party (NCP)—an important constituent of the UPA-2 and a traditional ally of the Congress. The NCP first requested and then started issuing stern warnings to Sangma to withdraw from the race or face expulsion from the party. The NCP had already declared its support for the UPA-2 consensus candidate. Sangma somehow hoped to get the full support of the NDA and therefore continued to be in the race justifying his commitment towards the Indian tribal population of more than 100 million. 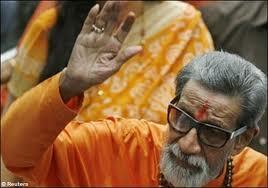 He even approached Mamata for support and got rebuffed soundly. Now, the most logical option for the NDA or the BJP would have been to support Pranab Mukherjee as a consensus candidate, but the all-important electoral strategy for the next General Elections of 2014 or possibly for a mid-term election in 2013 prevented them from doing so. They feared that if they supported a Congress or UPA candidate they would lose the electoral advantage at this crucial juncture when the ruling coalition had been reeling under unmitigated opposition pressure. The NDA could not make up its mind to support Sangma because he was not a candidate of national significance or of immaculate profile as compared to either Pranab or Kalam. So, on June 17, 2012 they deliberated twice at a national level meeting and failed to arrive at a decision. On Monday, June 18 the BJP made a last-ditch effort to persuade Kalam to contest Pranab while its traditional ally in Maharashtra, Shiv Sena, did not take part in the meetings and declared its support openly for Pranab Mukherjee. To confound the NDA’s dilemma Kalam withdrew from the race on the evening of June18, 2012. So then, PA Sangma remained the only option for the opposition alliance now with pressures building up on him to withdraw anytime. At the moment opposition parties are running out of candidates to carry on the politics of opportunism. The Indian opposition parties were so obsessed with the prospect of a mid-term poll that the debate for their would-be Prime Ministerial candidate had already heated up with one constituent party chief demanding a secular prime minister. The BJP’s trump-card, Narendra Modi, could be the obvious bone of contention. Divisions in the opposition camp are too openly visible for harboring any election ambition. If they aim at ruling a nation they must first understand what national pride is. Somebody within them said that Presidential election is very different from Parliamentary or assembly or local elections and one should not fight too much here! Right! That's national pride and honor! Monsoon Mix: Flood Waters Sweep In Black Money! Massive Fire At Mumbai Secretariat! Dream Shop For Sports Collectors And Fans! And Finally It Is Pranab For President Of India! Bizarre Happenings: Politics Of The Absurd!